Cordial Kiddush Cup Set with 8 small cups on metal tray. 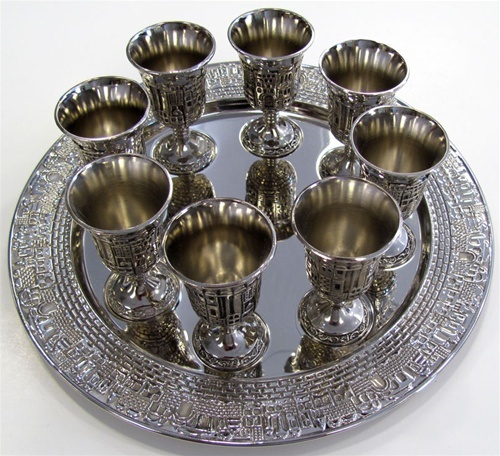 The cups and the tray exhibit a beautiful motif of Jerusalem. The tray is 9 1/2 inches in diameter.